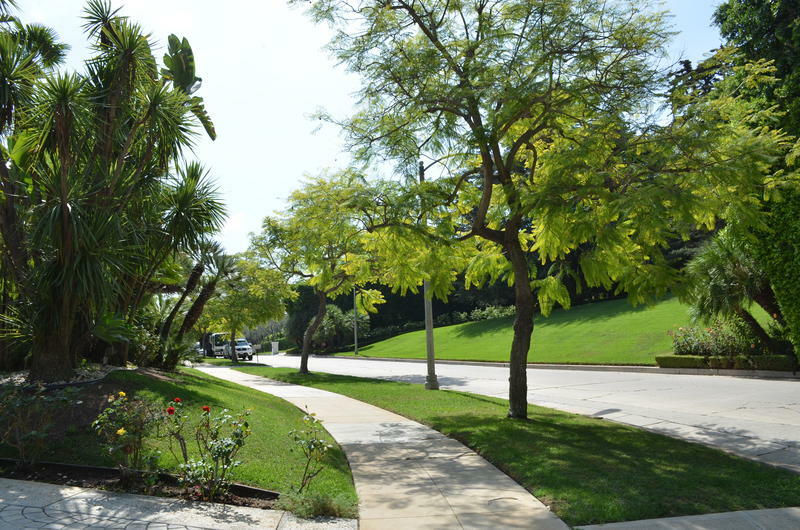 Green lawns in Beverly Hills, Calif., appear lush and well watered. Guadalupe Elizondo, a retired teacher shown at her home in Rio Bravo, Texas, is president of the Rio Bravo Alliance for Clean Water. By buying land in America’s most productive ground for growing hay, which just happens to be a desert, Saudi Arabia’s largest dairy company now can grow food for its cows back home – all year long. Maria Muñoz, a condo owner in the Bronx, fell behind on her mortgage to keep up with her water bill payments. From the parched California coast to soaring water bills in New York, this episode of Reveal takes an in-depth look at water issues around the country. 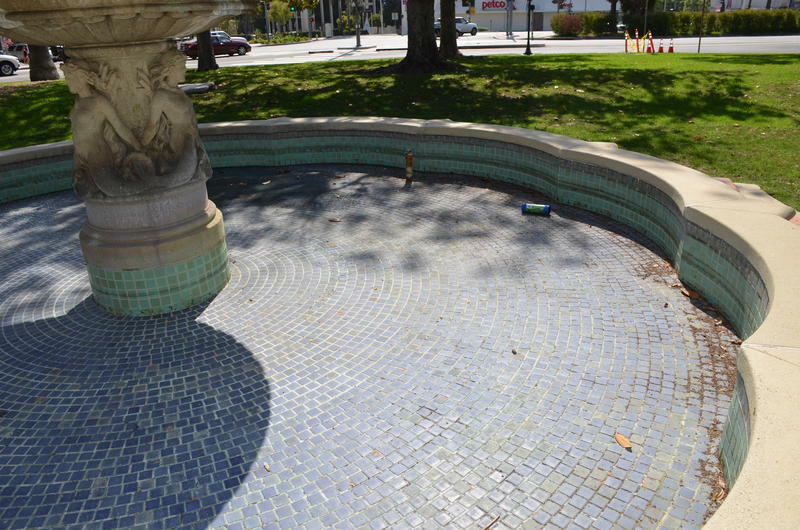 Reporters track down water guzzlers in the Golden State, where some people are using millions of gallons of water in the middle of a historic drought. But their identities are kept secret. Further southeast, we explore a fight for clean drinking water that’s been raging for decades along the Texas-Mexico border. To the west of Texas, we travel to a desert to unveil an aspect of the global thirst for water. And from the desert, we head to New York City, where the buildings aren’t the only things climbing sky high. Water bills are skyrocketing – what’s behind this and whom does it affect? Got green? Those with money sure do – both in their pockets and around their houses in the form of sprawling lawns and towering hedges. If you didn’t know California was experiencing a historic drought, driving through the streets of Beverly Hills and Bel Air would only keep you in the dark. The area is lush and dazzling. Streets bask in the healthy green glow of the abundant trees, grass and plants growing carelessly about. 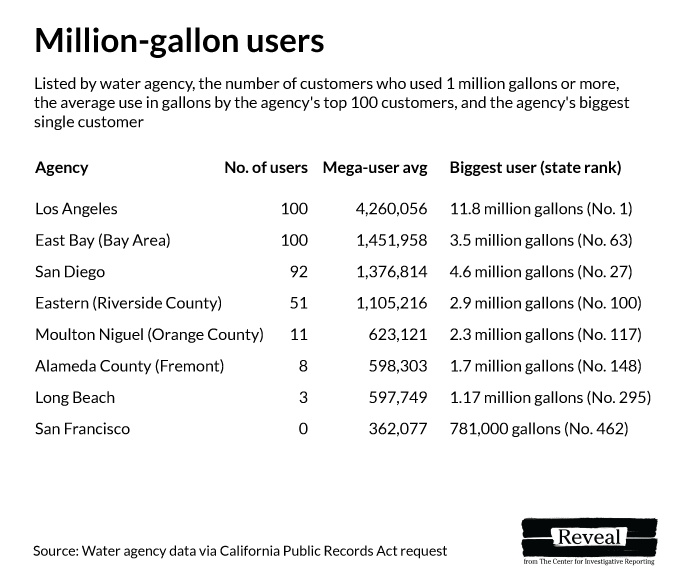 Unsurprisingly, some of the state’s biggest known water users live here. But finding out exactly who they are isn’t easy. Reveal reporters go on the hunt for extreme water bingers in the rain-starved Golden State. 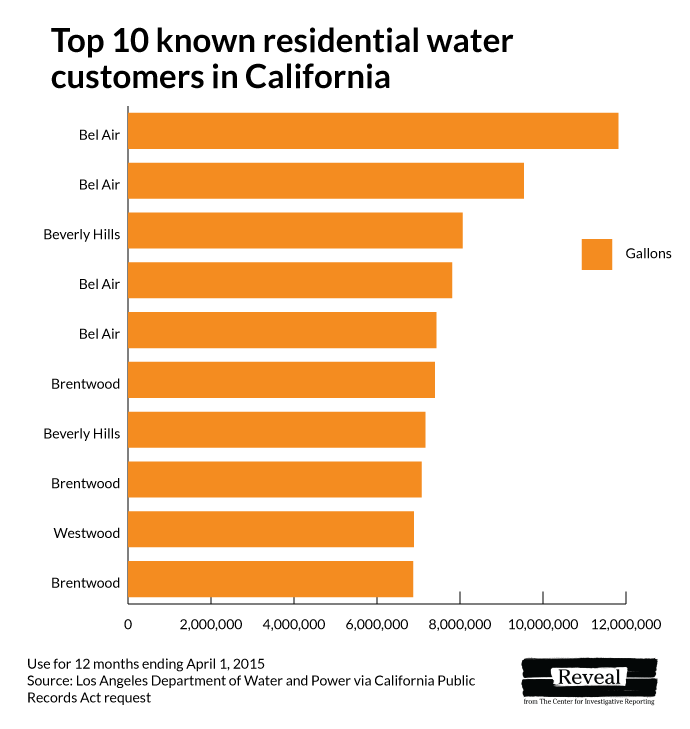 These super-users are living in homes consuming millions of gallons of water a year. So who are these guzzlers? And why are they allowed to keep their yards green? Clean drinking water isn’t a problem most of us worry about in the United States today. 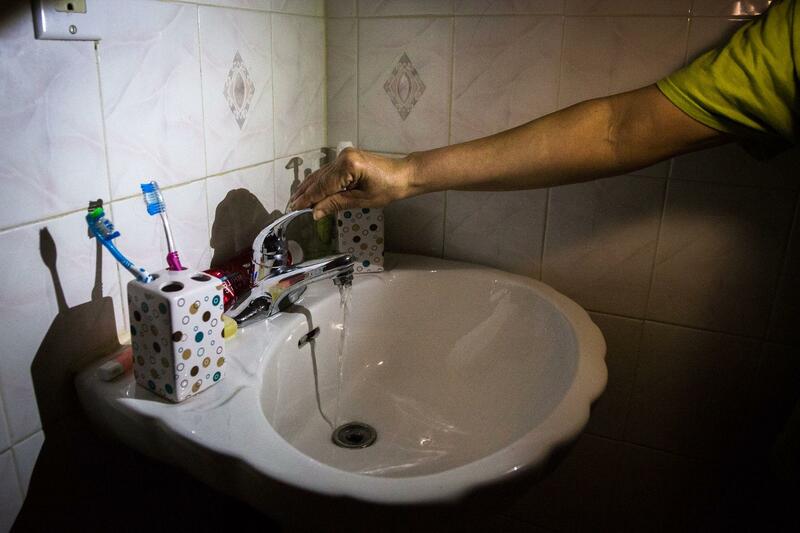 But there are still communities in our country where water is brown or green out of the tap. It’s got stuff floating in it. It smells bad. 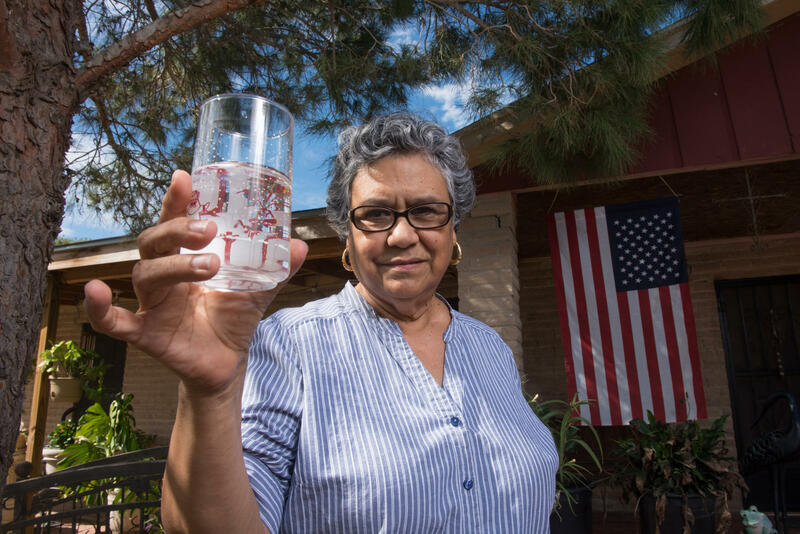 Neena Satija of our partner The Texas Tribune heads to two Texas towns that sit along the Mexican border to meet with residents who’ve fought for drinkable tap water for decades. 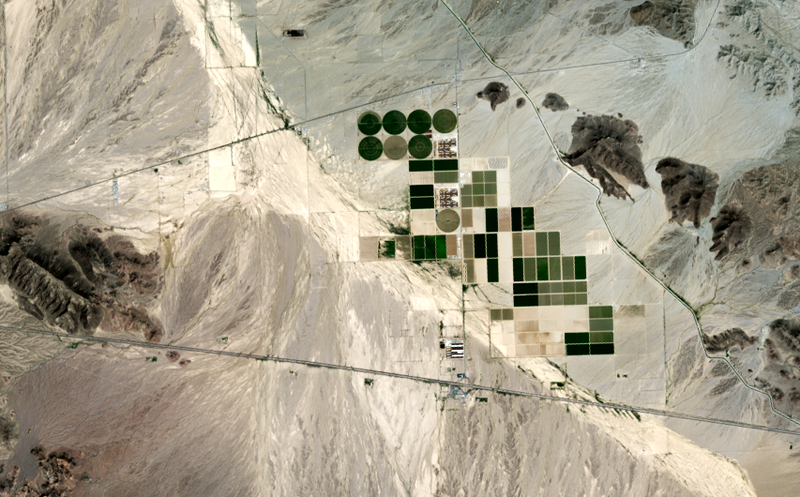 What happens when your ancient desert springs start drying up? Why, you find another source, of course! Saudi Arabia is almost out of water. For decades, farmers drilled for groundwater to transform their deserts into irrigated fields suitable for crops. Note how the area in the Wadi As-Sirhan Basin changed between 1987 and 2000. Reveal’s Nathan Halverson and Ike Sriskandarajah don’t travel quite that far to get the story. Last year, Saudi Arabia’s largest dairy company, Almarai, bought 9,600 acres of land in a desert in the American Southwest. The company then converted it into hay fields to feed – get this – cows back home. We’ve talked a lot about areas without water and the problems that arise, but here’s a look at another side of it. New York City gets more than 50 inches of rain and snow a year, but the cost of its water has almost tripled over the past 15 years. Reporters Kat Aaron and Matthew Schuerman of public radio station WNYC explain why and take a look at how these soaring rates are affecting low-income New Yorkers.